Dr. Lesser has been working with Training with Kindness since February, 1992. No one can answer client questions more knowledgeably than Training with Kindness' owner, Cheryl, who has 15 years experience as a clinic director for Dr. Lesser. Dr. 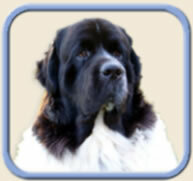 Lesser has been a veterinary chiropractor for 20+ years and is very highly respected in her field. She has been on numerous television programs and has been the subject of several magazine articles including an article in "Sports Illustrated." In addition to chiropractic adjustment, Dr. Lesser also gives acupuncture treatments when necessary. She can keep your dog in shape and moving its best! to schedule a chiropractic adjustment for your small animal, please call (908) 479-4268.
be sure to call early!